Penny Lane: Album Review: Say Lou Lou "Lucid Dreaming"
Let’s be honest: we’ve moved on from categorising music into specific genres and poking at technical faults which would otherwise be a simple jab at creative expression. Lucid Dreaming isn’t just a pop or electronic creation but an album which celebrates the whimsical and meditates on human passion. 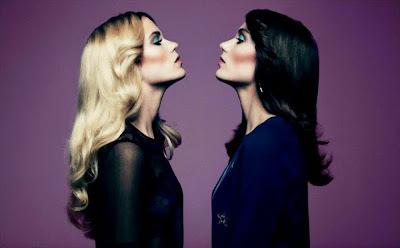 If you haven’t heard of them yet, (check out their 2014 collab with Chet Faker or cover of Tame Impala) Say Lou Lou are Elektra and Miranda Kilby, an Australian-Swedish sister duo. They’ve been previously featured on French label Kitsuné and are gaining a presence with a playful approach to heartbreak that can just as smoothly evolve into a slow moody burn. 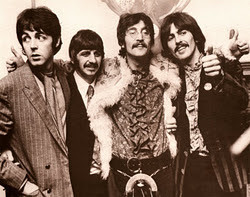 Lucid Dreaming is slightly short of hooks, but it seems to be more about a general spirit than an arrangement of sound. Previously released single ‘Nothing But A Heartbeat’ is still strong and catchy. There’s an energy to their songs which will translate well into a live context, especially at a festival. For fans of MS MR, the slow, climactic choruses – which verge slightly away from a pop structure – will appeal. Also, Clean Bandit rings a bell with a similar mood of “featherweight pop.” But who am I to pull out references, genre-free and flowing, Lucid Dreaming could be the soundtrack to stretched-out sleepless nights in restless thoughts.